There is plenty of buzz in Las Vegas around the transformation taking place at Mandalay Bay. 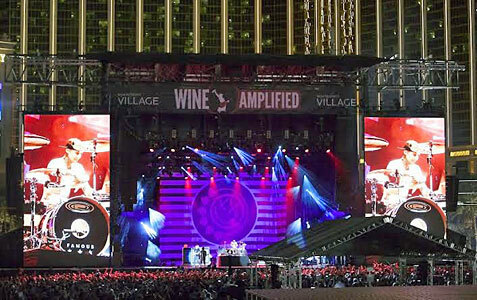 Bullz-Eye had the opportunity to learn about the many facets of this exciting undertaking from Chuck Bowling, President & COO of Mandalay Bay during our Mlife experience in April. Yes, Mandalay Bay is currently undergoing its first major property-wide transformation since opening in 1999, from the premiere of Cirque du Soleil’s Michael Jackson ONE to the debut of the Delano Las Vegas, a new all-suite boutique hotel within the resort. The 120-acre resort is collaborating with brands such as Morgans Hotel Group, Cirque, The Light Group and Four Seasons to create a totally new experience for its guests. · Delano Las Vegas – Later this year, Mandalay Bay and Morgans Hotel Group will begin the transformation of THEhotel at Mandalay Bay into Delano Las Vegas, a new all-suite hotel scheduled to open in early 2014 that will embody the soul of Delano South Beach with Vegas flair. 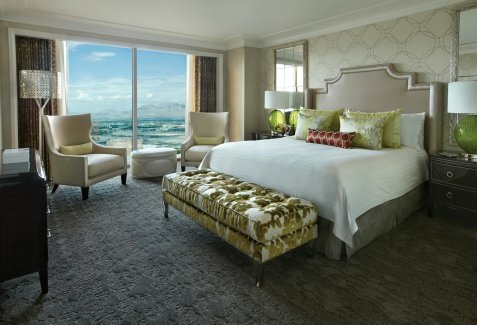 · Four Seasons Hotel Las Vegas – Four Seasons Hotel Las Vegas, located on floors 35-39 of Mandalay Bay, began the year with a complete renovation of all 424 guest rooms and suites inspired in part by the vibrant Art Deco period. This spring, Four Seasons also introduced Press, a new indoor/outdoor lobby bar that creates an energetic social hub that evolves from espressos in the morning to draft beers and wine at night. · Michael Jackson ONE by Cirque du Soleil – June 29, the resort will debut Michael Jackson ONE, a permanent Cirque du Soleil production that will bring to life the King of Pop’s music while celebrating his worldwide legacy. · LIGHT Nightclub – Memorial Day Weekend, Mandalay Bay will unveil LIGHT Nightclub by The Light Group, a venue that combines the imagination and artistry of Cirque du Soleil with a roster of top DJs in the world. Designed to bring a unique, memorable experience each evening, LIGHT will tantalize senses with state-of-the-art production and theatrics.